One of the most exciting findings in cancer research is the ability to identify cancerous cells by the volatile odor molecules they give off. Diagnostic machines, scalpels, and even specially trained dogs have been used to identify cancer this way. We can add fruit flies to that list now: scientists have bred a strain whose antennae glow when they smell cancer. Researchers at Germany's University of Konstanz discovered that the fruit fly's extremely sensitive odor receptors can distinguish cancerous cells from healthy cells based on the metabolic gases the cells emit. Unfortunately, unlike dogs, a tiny fruit fly can't be trained to signal when it's smelling a cancerous cell. So the research team genetically engineered a strain of fly with scent receptors on their antennae that glow when they've detected the odor of cancer. The resulting flies don't just indicate "cancer" or "no cancer" — in testing, the researchers discovered the bugs' antennae give off different patterns depending on the type of cancer cell they're exposed to. "As not only cancer cells can be distinguished from healthy cells, but also subgroups were discernible within the cancer cells, it seems that even different types of breast cancer cells can be differentiated via the antenna," said University of Konstanz researcher Alja Lüdke. 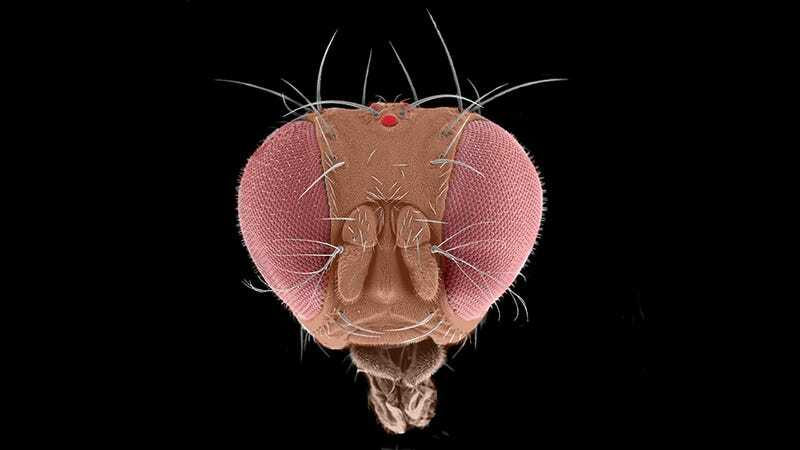 This is no bizarre pet trick, either: in a recently published paper in Scientific Reports, the research team states that the fruit fly's nose is actually more sensitive than current gas sensors. And while you might not expect to see a fruit-fly-powered diagnostic machine in hospitals any time soon, the researchers say these findings could lead to fast, affordable screening techniques that blow away current imaging-based methods.